Asia Today had the immense pleasure of speaking with Raj Dubey, Managing Partner at Dubey and Partners regarding his firm on his recent visit to the USA. Mr. Dubey completed his schooling in Patna and arrived in Delhi to complete his Bachelor of Commerce from Delhi University. Always passionate about corporate intricacies of doing business, he knew he wanted to be an Attorney and went on to complete his degree from Campus Law Center at Delhi University in 1994. To complete his knowledge on corporate intricacies, he also did a course of Company Secretary from the Institute of Company Secretaries of India. He is member of International Bar Association, American Bar Association, World Jurist Association and Supreme Court Bar Association in India. He was the 1st Attorney in his family that included his parents, 2 brothers, and a sister. One of his brothers is in Sales in India and the second is an IT Professional in San Ramon, California. His sister is a traditional housewife married to an engineer and resides at Bokaro, the Steel city of Jharkhand. Mr. Dubey was married in a traditional arranged married; one in which he did not see his wife until their marriage, to his beautiful wife Smita Dubey in 1999. Mrs. Smita Dubey is also a well-established and driven IT Professional. She has a double Masters in Math from Patna University and in Computer Application from IGNOU, Delhi. They have an 11 year old daughter, Anjora Dubey. Mr. Dubey recognises his wife as his core strength and reason for his success in life; When everybody doubted his Venture, She stood like a rock behind me and complemented my efforts with her IT skills, he says. When asked if he has dreams of his daughter following in his footsteps professionally, he shared that he just wants to provide her a good education and allow her to make her own decisions. His only dream for his daughter is to let her travel as much as possible so that she can see diversity of cultures and become a better-informed person. Independently and together with his family, Mr. Dubey himself has visited more than 20 countries both on personal and professional ventures and attributes his travel and learnings from his travel to his success too. Mr. Dubey knew he always wanted to work for himself so that he had the independence to make his own choices and set his own direction to ensure how business was being done. While the experience gained at established firms is valuable, it also comes with imposed targets of billings that are dictated by these firms. However, he also recognise the value in getting experience at an established firms before venturing into his own practice. He completed an internship with Dr. B.K. Modi Group and joined full-time job at Singhania and Company from 1996-2002. While at Singhania and Company, he worked at their London and New York Offices other than their New Delhi office. His ability to develop detailed strategies and flawless execution were well recognised by Overseas Clients even in his early years of career. On July 4, 2002, the day that is known as Independence Day in the USA, Mr. Dubey started his independent venture Dubey and Partners. It is a Full Service law firm which specialises in Corporate Law, Litigation and Arbitration and Intellectual Property Rights (IPR). The firm that started with 1 laptop, 6 books, and 4 interns who trusted him is a well-established international law firm today that serves primarily international clients and has owned offices in Delhi and Pune with associated offices in all major cities in India. Today, the firm has 6 Executive Partners and a total strength of 40 professionals in its Delhi and Pune offices. The Firm boasts of many fortune 500 companies and several Ministries of US Government as their Clients handling their Corporate, litigation and IPR assignments in India. The Firm has been handling major litigations for American, Austrian, German and Spanish Corporations. It has also represented one of the major Indian Corporation in oil and Gas sectors in their arbitration in London and currently assisting Dubai based Financial Group in their arbitration in London. It has helped many US based Corporations in their joint venture and acquisitions in India. 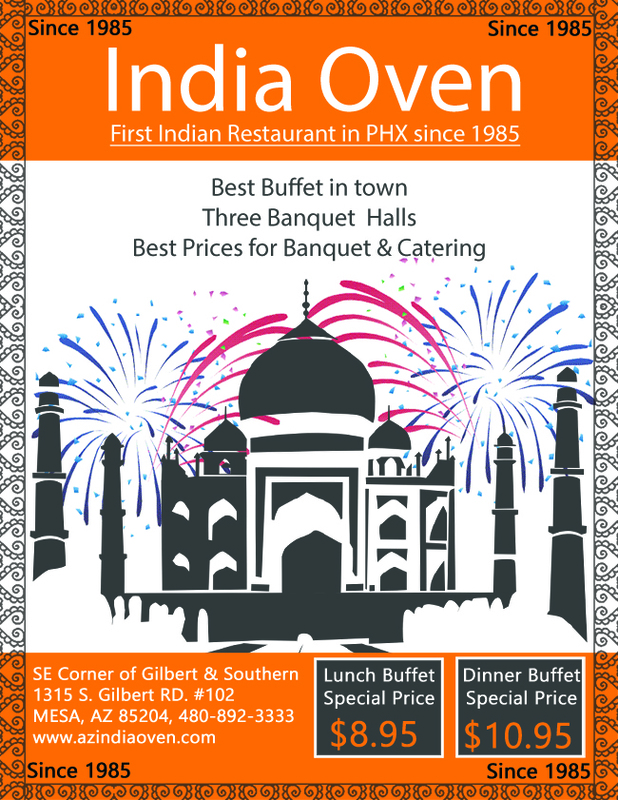 Our readers may be curious what a firm based out of India has to offer our readers here in Arizona and what services Dubey and Partners provides internationally since a majority of their clients are international. There are two areas of Dubey and Partners’ services that may be of special interest to our readers: NRI Services and Startup Support. Many NRIs have properties, family businesses, partnerships etc. that are established in India that they have left behind after moving abroad. With changing rules and digitization it is becoming more and more critical to ensure that everything is in compliance according to the changing rules and regulations in India. Many a times relatives in India try to exploit absence of person from India for longer times and try to occupy properties and other interest Illegal and forcefully. Attorneys at Dubey and Partners will ensure compliances for all such ventures, ensure protection and fair treatment to their Client’s interest even when they are absent from India. They can help NRIs dispose of property, acquire new property, or deal with a businesses and their partners back in India. They can also assist families of NRIs with basic services such as obtaining passports for parents and arranging their travel to the US and other places through networked professionals. Through their network of multiple service providers, the Firm ensures that diversified work as property management, travel arrangements or medical support to ageing parents are timely organised and easily available. Their services include a personal touch unheard of in this profession. Mr. Dubey says there could not be bigger earning than blessing of elders and gratitude of people duly helped in times of need. The Firm follows his philosophy to the core. In addition to these services, what may be of interest to US based individuals are the vast services they provide to startups depending on their level of interest, budget, and commitment. The Firm help Start Ups in converting their dreams into realities. For international clients looking to launch a new service or develop new product, they utilize their large professional network to help them find the right partners or create right platform at the most economical way to achieve their goals. This is extremely valuable for those who cannot afford to develop such technologies or products at the high costs abroad. Dubey and Partners helps their clients from facilitation of initial contacts to complete support to get this up and running successfully. When Mr. Dubey started out, he had not dreamed that the firm would reach such great heights. However, his professional dedication and caring nature that added a personal touch to their legal services, has helped Dubey and Partners reach the successful milestone it has achieved today. Looking ahead, Mr. Dubey plans to start his own/associated office in the USA because of high international demand and to address the challenge of time difference for his clients. He is targeting an office in Phoenix and San Francisco and currently seeking existing law firms at these locations which may be interested in a joint venture with his Firm. Mr. Dubey’s final message to our readers is that India is growing exponentially and changes are fast paced. With new government initiatives like Make in India, It offers opportunities which one can not afford to miss. While digitisation of legal compliances would make it very difficult to sustain things without proper compliances for long in India however at the same time it offers opportunities, which comes once in centuries. If you have concept, knowledge, product or technology, which you believe is unique and could bring higher efficiency in Society, come to India; Dubey & Partners will help you in realising your dreams by arranging partners and platforms for it. For those who have pending compliances, his advice is not to wait as digitised enforcement of laws and regulations can create a lot of new challenges and the longer you wait, the more expensive and complicated addressing these needs will become. Connect with Dubey and Partners to ensure you are in compliance with the latest laws and regulations with regards to any property, business or interest you have in India. If you are interested in starting something new in India or want to undertake small experiment to understand feasibility, Dubey & Partners will connect you with the right partners and guide you on what you should or shouldn’t do as you get started. For students, Mr. Dubey thinks that law is a great profession with huge potential and prospects in both countries. If you are studying here, come for an internship in India to understand the nuisances of legal practice there and build a network that will come in handy for your future success. All major law firms from USA have their presence in India in some forms and are always on look out for professionals who understands the nuances of workings in India and can help them in bringing greater efficiencies for their Operations in India. Asia Today is extremely grateful to Mr. Dubey for his time and educating us on the services that may be of value to our readers in India. We wish the organisation continued success in all its future endeavors and look forward to hearing about the grand opening of their office here in the USA in the near future. 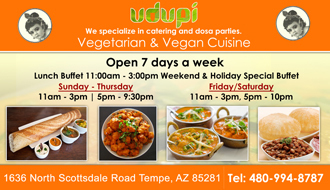 For more information or to contact Dubey and Partners, please visit www.dubeypartners.com. He could be also be contacted on his mobile number +91 9811013934.